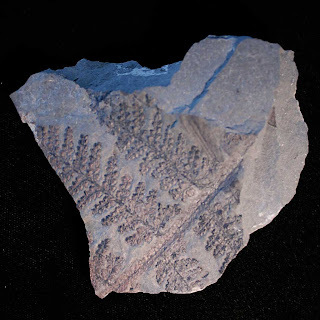 Sphenopteris sp. 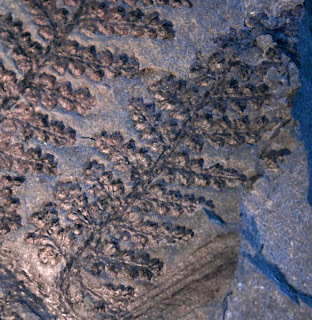 plant fossil found at Carbon Hill, Alabama. Plants grew in the Pennsylvanian Period. 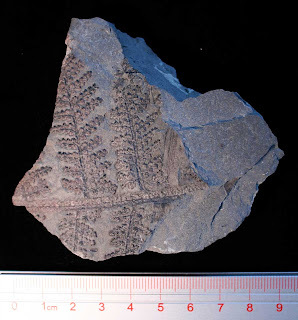 Thanks to Dave for the fossil.